Thoracic surgeon Dr. R. Taylor Ripley comes to the Mesothelioma Treatment Center at Baylor College of Medicine with the highest possible endorsement. Dr. David Sugarbaker, the world’s most prominent mesothelioma specialist and former director of the prestigious Baylor Lung Institute, recruited Ripley. It was like being anointed by the king. Ripley spent the previous four years at the National Cancer Institute (NCI) in Bethesda, Maryland, where he built a sterling reputation for surgical, clinical and investigational research excellence. 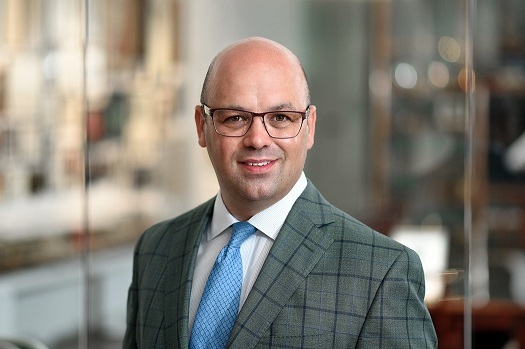 Ripley, 41, becomes the director of a program that has grown into one of America’s leading mesothelioma specialty centers under Sugarbaker. The famed surgeon had been a pioneer in mesothelioma treatment advancements for almost three decades. Sugarbaker died Aug. 29. He was 65. Expectations for Ripley are especially high — like joining the Super Bowl champions as a No. 1 pick in the NFL Draft. Ripley earned his degree from the Vanderbilt University Medical School. He trained in thoracic surgery at New York’s Memorial Sloan Kettering (MSK) Cancer Center, which has another highly regarded mesothelioma program. At MSK, he worked closely with thoracic surgeon Dr. Valerie Rusch, a mesothelioma specialist who piqued his interest in this rare and aggressive cancer. His interest continues to grow. At the NCI, he worked with the multidisciplinary thoracic team that included thoracic oncologist Dr. Raffit Hassan, a leader in mesothelioma research. Ripley believes his role with mesothelioma patients at Baylor will extend well beyond the surgery he performs and move toward a more personalized approach. He and his patients usually exchange cellphone numbers when they first meet. Ripley will be there for them every step of the way. He believes in thoroughly educating each patient about the path they have taken. Instead of one presurgery consultation, he prefers two with each patient, making sure all questions and concerns are answered. Ripley wants family involvement. He encourages dialogue. And he spends considerable time with each patient outside the operating room. He credits Rusch and Dr. Steven A. Rosenberg, chief of surgery at the NCI, for teaching him the surgical technique and mental approach to this difficult disease. In addition to performing all types of mesothelioma surgery, Ripley has brought his laboratory research efforts from the NCI to Baylor. He is heavily involved in cell biology and tumor metabolism, which is the reprograming of cells to make them more vulnerable to therapy. It was one of the reasons he was recruited at Baylor, which wanted to add another dimension to its blossoming mesothelioma program. His whole approach beyond the operating room was another.